This contest is open to all readers in the United States. 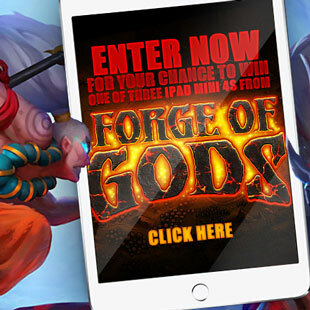 Head over to the Forge of Gods website, and answer this question in the text box below: The ultimate quest is to defeat whom? All contest submissions must be in no later than 4:59 PM ET May 20, 2016 for a chance to win. The drawing will be held on or about May 27, 2016, and winners will be notified via email.